I’m not sure why the other photos didn’t appear in the original post but no matter…they are here now! 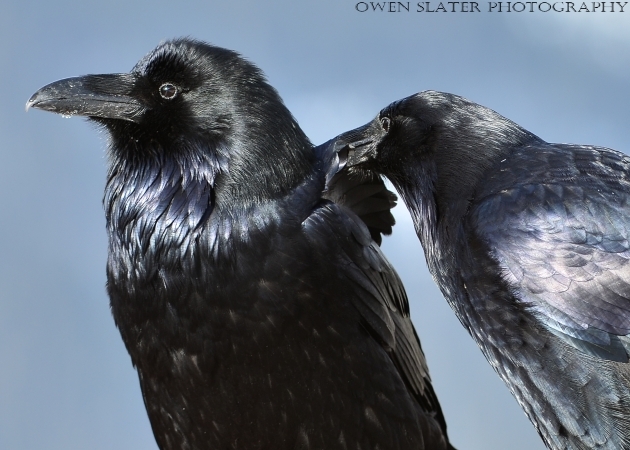 Keeping with the Corvid theme this week, two ravens share a moment together as one gently grooms the feathers of its perspective mate. 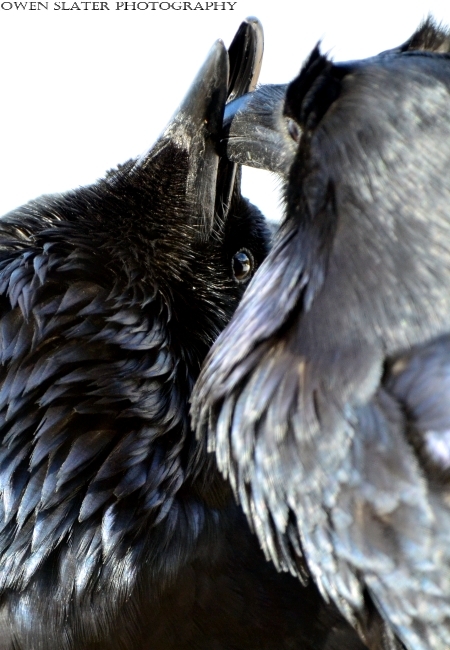 After a few minutes of the back grooming the favour was quickly reciprocated with some delicate grooming around the face, beak and neck of the other raven. The grooming behaviours must have been well done since it was quickly followed up by more intimate behaviours. 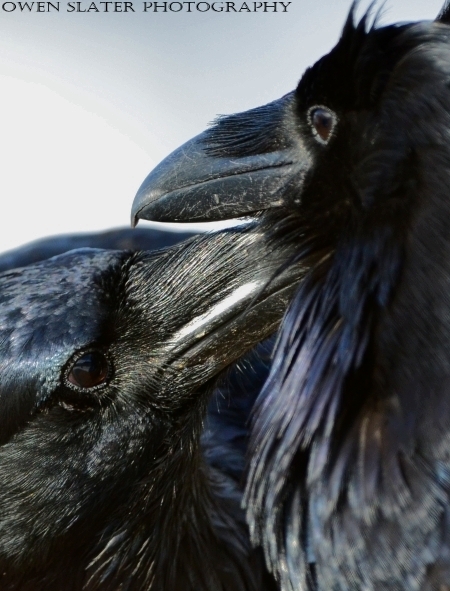 This is known as billing, and apparently it’s not something ravens do with just any raven! The beaks of birds are very sensitive due to the many nerve endings similar to our own lips, so it isn’t much of a stretch to think that his feels good to them. Things continued to get heated, and not wanting to intrude on their developing relationship anymore than I already had, I quietly packed up and left them to their own devices. I took this photo back in January in Banff National Park. I was photographing the light hitting the mountains when I spotted this raven off in the distance. As luck would have it, it was just high enough in the ski with just enough light to freeze it mid flight as it flew across the frame. The mountain in the background is Mount Rundle.